In: LASPOTECH ND Admission List for 2017/2018 Academic Session !!! LASPOTECH ND Admission List for 2017/2018 Academic Session !!! The authorities of the Lagos State Polytechnic (LASPOTECH) have released the admission list containing the names of candidates offered provisional admission into the polytechnic various ND programmes for the 2017/2018 academic session. 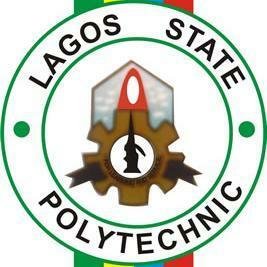 LASPOTECH admission list is now available online. 2. Log In with your Username and Password to access your admission status. congratulation to all the candidates that made it to LASPOTECH admission list.